Oh my gaww, Crazie -- I was just freaking out because I could've sworn I had submitted 3 memes today, and when I got back from a prolonged grocery shopping excursion, I could only see two that had been featured. 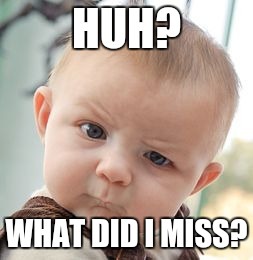 Frantically, I tried to remember what the missing meme was... Did imgflip disappear it? 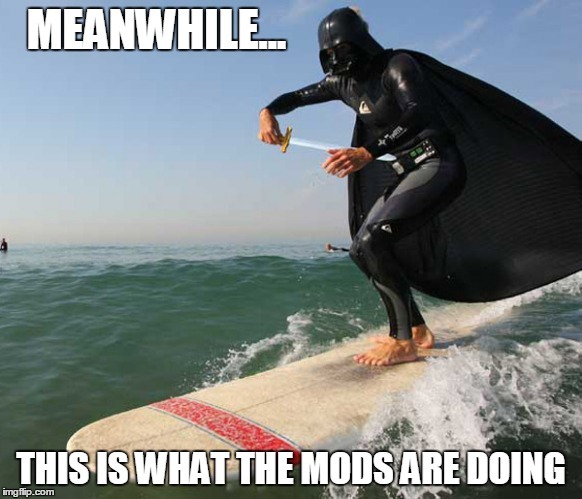 Had it been downvoted out of existence? No, that wouldn't make sense, since I would still be able to see it in images, and when I scanned back a couple of pages in My Images, I didn't see it! Was I going to have to try to remember what I had created and remake it? Suddenly I remembered that I sometimes create a meme late at night, and instead of submitting it at a time when my memes garner little more than 20 views and 1 upvote, I decide to submit them the following day. Thinking this might be the case with the missing meme, I searched back extra far in My Images, and found the f**ker! 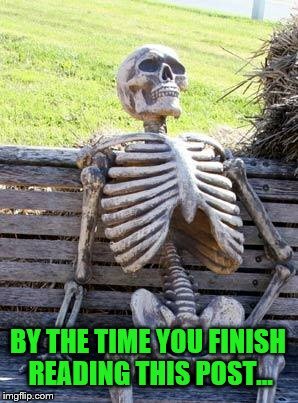 imgflip.com/i/1tearq It says it's been submitted, but the G-D mods are probably going to hold it back and feature it in the bum-f**k middle of the night. I figure I may have pissed them off when I snuck ol' Grandpa in Speedos by their watchful eye without getting flagged NSFW. Incidentally, the new meme also features an older gentleman wearing nothing but gym shorts (and I didn't tag it NSFW), so maybe the mods thought that this would be the most apropos moment to give me my comeuppance. 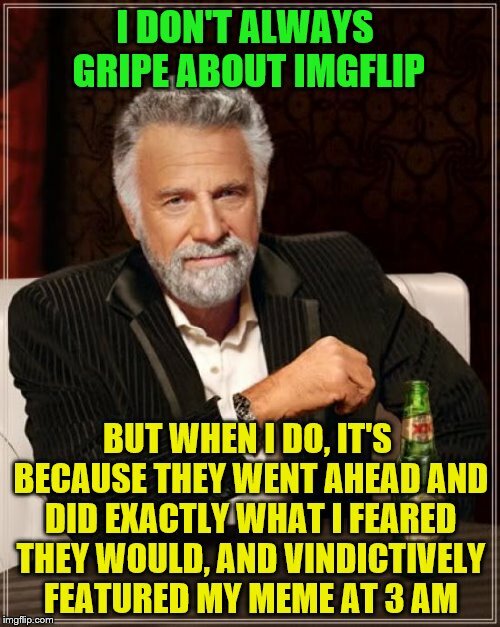 looks like I got my comeuppance after all -- imgflip managed to limit a meme featuring both a hyena AND a genuine Russian oligarch to a mere 43 views over a span of 18 hours. Where Are You Heading? 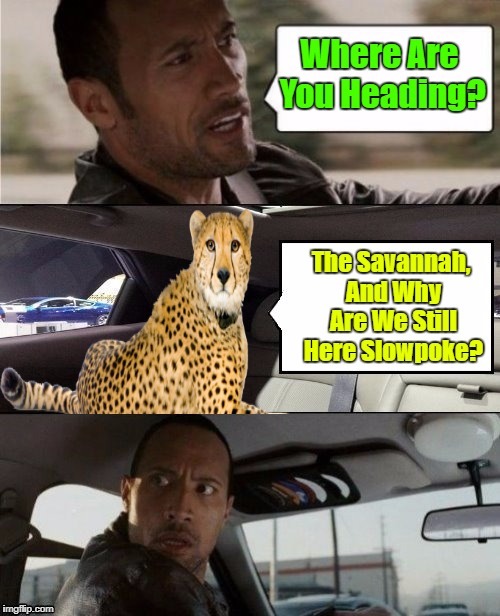 The Savannah, And Why Are We Still Here Slowpoke?